His House > Blog > Bipolar Disorder > Tired of the Emotional Roller Coaster? Tired of the Emotional Roller Coaster? You’ve heard the term Bipolar Disorder or Manic Depression. Maybe you think you have it. You may have periods of intense highs followed by periods of intense lows. If you do, you know you need treatment for it. But where should you go and what kinds of treatments are available? If you are suffering from bipolar disorder, you need to get bipolar disorder treatment now. This mental illness has a genetic component and affects about 3 percent of the population. While there is no cure for bipolar disorder, there are effective treatments, so it is important to find a terrific bipolar treatment center that can help you control it. Bipolar I is the typical manic depression where the manic episodes last at least a week and the depression lasts for at least two weeks. They may need hospitalization. Bipolar II is the same as bipolar I but the manic stage is less severe (hypomanic) than in bipolar I.
Cyclothymic disorder occurs when there are several episodes of hypomanic behavior followed by several episodes of depressive behavior over the course of two years or more. 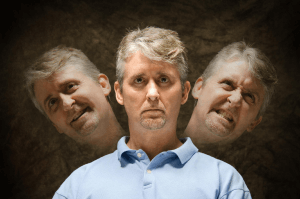 Unspecified bipolar is a type of bipolar that doesn’t fit into the above categories. If you have periods of high energy and periods of depression, you may have bipolar disorder and may need bipolar treatment. We can help evaluate you and determine if you are suffering from bipolar disorder. Symptoms during the manic phase may include: talking fast, feeling elated and “up,” taking risks, impulsiveness, irritability, lack of sleep, restlessness, psychosis, agitation, and being overly active. Symptoms during the depression phase may include: feeling down, sleeping too much or having trouble sleeping, feeling tired, feeling down, feeling worthless, considering suicide, weight loss or gain. You may experience anxiety, catatonia, rapid cycling through mood swings, moods changing with the seasons, and atypical behavior. A doctor will be able to evaluate you to determine if you have bipolar disorder. The evaluation includes physical exams, mental health evaluations, mood diaries, and other methods. Treatment is usually with talk therapy and certain medications that include atypical antipsychotics, mood stabilizers, and antidepressants. Bipolar disorder is often very disruptive to a person’s life. If you have bipolar disorder, this disease will not go away. However, it may be controlled with therapy and medications. Because it is so disruptive, it’s important for the person with this disease to seek bipolar disorder treatment so he or she may have a happy and productive life. If you have bipolar disorder, you’ll find how your life can become easier once you receive treatment. How Can I Find the Right Treatment? Not everyone reacts the same to the same treatment which is why it is important to be evaluated and have a special treatment program designed for you. That way, you know you can have the most effective treatment available. What’s more, if you are addicted to alcohol or drugs, we can work with you to treat both your bipolar disorder and your drug or alcohol addiction. That way, you can be sure the treatment will help you the most. Bipolar disorder doesn’t have to run your life. With the right treatment, bipolar disorder treatment can help you get back your life and help you be a more productive member of society again. His House Rehab offers industry leading Bipolar Disorder Treatment Programs. We were founded in 1994 and we base our Drug and Alcohol Treatment programs on five key principles: commitment, honesty, integrity, respect, and service. These five principles guide us in all that we do and all the care we provide. Contact us today to see how we can help you or your loved one at (888) 681-4594.